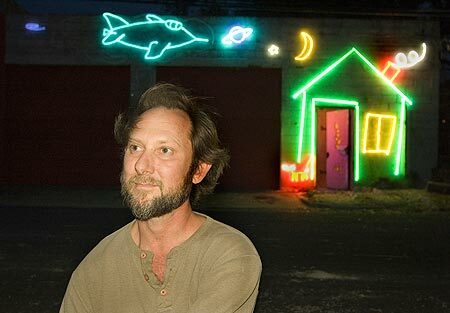 Drop me a line if you would like to purchase my neon sculpture, book a speaking/music/story engagement or commission your own Spirit House created with significant items from your life. I do not quote prices by email so please include your phone number or call me directly 512 - Four Seven Four - 998 Zero. I like to understand exactly what you want and talking is best.